CBS continues close collaborations with Danske Bank – is that responsible? Danske Bank has failed as a model to CBS' students, says the President of CBS. Still, CBS continues to collaborate with the company that has laundered several billion DKK. 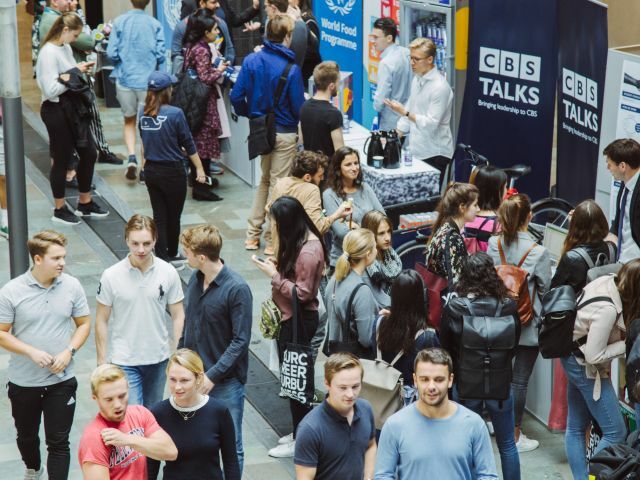 A CBS professor argues that as long as CBS collaborates with Danske Bank, it is implicitly condoning the bank’s actions, which means that CBS is missing out on a “colossal chance” to teach students an important lesson in CSR. A board with all of CBS’ partners hangs by the south entrance at Solbjerg Plads. One of the largest partners is Danske Bank together with well-established corporations like Ørsted, Novo Nordisk and Velux. Danske Bank’s partnership with CBS includes event sponsorship, research funding worth several million kroner and logo sponsorship in an auditorium, to name a few examples. What makes the collaboration a little more involved is that the now former CEO of Danske Bank, Thomas F. Borgen, was appointed the first Executive in Residence in 2017 and spent an academic year at CBS sharing with students, among other things, his knowledge and experience as a CEO. How much is DKK 1,500 billion? For DKK 1,500 billion, you can buy yourself 50 billion Big Mac burgers. You need 15 billion 100 kroner banknotes to get DKK 1,500 billion. If you stack the banknotes, the stack would be 1,635 kilometers high. That’s the distance to Naples, Italy as the crow flies. DKK 1,500 billion in 100 banknotes weighs about 14.1 million kilos or 14,100 tons. The weight of 2,800 adult male elephants. In light of recent developments in the money laundering case, in which Danske Bank has admitted that the Estonian branch of the company has had a total flow of payments amounted to around DKK 1,500 billion – of which it is yet not clear how much has been laundered -, questions are being raised. Can CBS be a responsible business university while it collaborates with irresponsible organizations? Michael Mol, Professor of Strategic and International Management at the Department of Strategy and Innovation at CBS, has strong concerns. 2007 – 2015: During this time, about 15,000 customers have made payments amounted to around 1,500 billion to the Estonian branch of Danske Bank. The customers include relatives of Vladimir Putin and the regime of Azerbaijan. March 2017: The Danish newspaper Berlingske starts to write about the case and reveals that about DKK seven billion was transferred through the bank from Russia between 2010 and 2014. That number only increased as the case unfolded, making it clear that Danske Bank’s management had received warnings of possible problems with money laundering in the Estonian branch of the bank back in 2014. But nothing was done about it until 2015 when the Estonian bank was closed down. Danske Bank spent about a year on internal investigations regarding the process that led to the money laundering case. 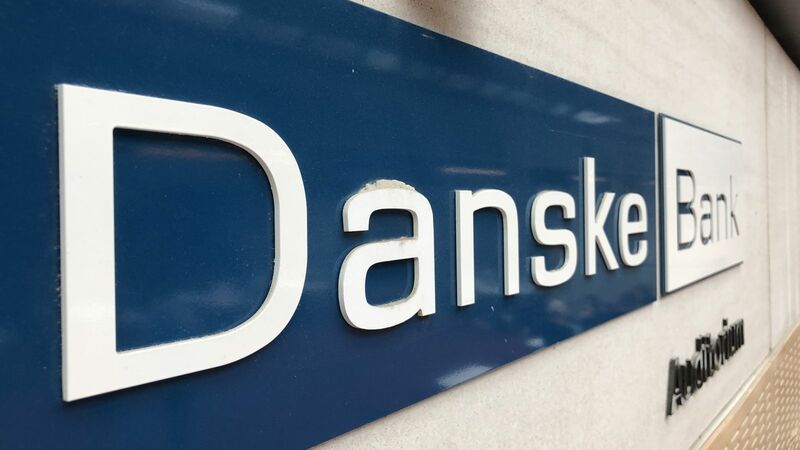 On September 19, 2018, Danske Bank presented the investigations, clearing Danske Bank’s top management, but with repercussions further down the ranks. Thomas F. Borgen, the CEO of Danske Bank, will, however, step down from his position when a new CEO has been appointed. The Danish Fraud Squad is also currently investigating the entire case. Last year, Per Holten-Andersen, the President of CBS, told CBS WIRE that he was “very proud” that Thomas F. Borgen had accepted CBS’ offer to become the first Executive in Residence from August 2017 to August 2018. Thomas F. Borgen would not be given that same chance today, writes Per Holten-Andersen in an email to CBS WIRE. For the moment, CBS has no plans of changing the collaboration with Danske Bank, explains Per Holten-Andersen. “As an example, we would be glad to make our knowledge on CSR, international anti-laundering rules etc. available to Danske Bank, and we do not have current plans to cease all collaboration with Danske Bank. But we will follow the bank and its management closely in the coming years,” he writes. When it comes to research collaboration with companies, Per Holten-Andersen assures that there will be absolute arm’s length between the grantor and the research. “As far as research collaborations are concerned, we adhere to the principle that absolute arm’s length must be maintained between the grantor and the research. On a case-by-case basis, we decide whether cooperation makes sense and how extensive the collaboration should be,” writes Per Holten-Andersen. Maribel Blasco, Associate Professor at the Department of Management, Society and Communication at CBS, works with learning in higher education, notably business schools, and she argues that the ongoing collaboration with Danske Bank could have consequences for the students. International media has also covered the development of the money laundering case. This includes the Financial Times, the Guardian and Reuters, with reports that U.S. authorities are closely following the case. One aspect of her research focuses on a theory called ‘the hidden curriculum.’ In short, this is what students learn beyond what is being taught. In collaboration with CBS PRME, Maribel Blasco has looked into how the hidden curriculum affects the mainstreaming of responsible management education at CBS, and argues that CBS needs to pay close attention to its hidden curriculum. “CBS had a colossal chance to send a crystal clear and meaningful message about social responsibility to thousands of our students. Why miss out on that? It might be even more effective to end collaborations with Danske Bank than to teach about CSR,” she says. As a new academic year begins, it’s time to find a new Executive in Residence. This time, it is Jens Bjørn Andersen, the CEO of the global transport and logistics company DSV. However, if it were up to Michael Mol, he would opt for two or more executives in order to remove the focus from one person. “CBS not only teaches skills, we teach values too. As an educational institution, we need to make sure that the people who teach in one way or another have the right set of values, and then we should question that person’s values if they are not in sync with those of CBS,” Michael Mol says. But at what point can a collaborator’s behavior be questioned? Maribel Blasco has her doubts. “How bad does a collaborator have to behave before the ties are cut? Would Danske Bank have to have been involved with groups who execute people, for instance? We know that the money that is laundered does not come from a good source,” she says. On September 3, the Danish newspaper Børsen published a feature article, written by Professor Steen Thomsen from the Department of Accounting at CBS, in which he criticized the Danish media’s coverage of the money laundering case and defended Danske Bank. Steen Thomsen is Chairman of the Center for Corporate Governance, which has received funds from Danske Bank for a four-year research project. The day before the article was published, the Financial Times revealed that the amount that had been laundered had increased to a staggering DKK 1,000 billion. Two professors from the University of Copenhagen and the University of Southern Denmark criticized the CBS professor in an article posted at magisterbladet.dk. In short, they question what a professor is allowed to have a say about in public. You can read the full article, in which Bent Meier Sørensen, Vice President for the Academic Council at CBS, and Søren Hvidkjær, the Dean of Research at CBS comment on the case, here. Please note that the article is in Danish. As a consequences of the critique, Søren Hvidkjær is going to discuss the case in the Academic Council. You can read the story at magisterbladet.dk. Please note that the article is in Danish. You can read Steen Thomsen’s article in Børsen here. Please note that it is in Danish. Great suggestion. This article addresses Danske Bank, but yes, if CBS truly wants to align itself with socially responsible organizations it should obviously also reconsider its collaboration with other scandal-plagued organizations, which are appalling role models for our students. Being anti-corruption is not a political stance but the lowest common denominator we can expect from any organization. People can make up their own mind – don’t need the University to do it for Them. Why is Danske Bank the only “criminal” which should be excluded, when CBS have events with Nordea, Goldman Sachs, Morgan Stanley etc. ? The hypocricy of the left wing hits again. In my view, Maribel Blasco is absolutely right in the points she makes about collaboration with Danske Bank in. Lack of action by management flies in the face of drumming all new bachelor students together on the first day of term at CBS to listen to talks about responsible management.